Tutorial: Setting up IO Python Library on BeagleBone Black « Adafruit Industries – Makers, hackers, artists, designers and engineers! 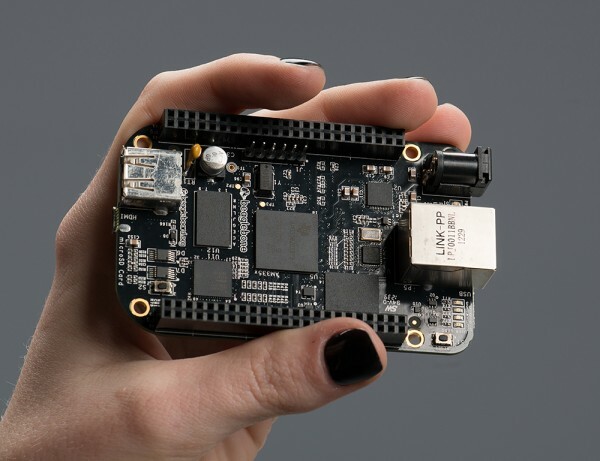 The BeagleBone Black is unique in that it has quite a few pins that are available on easy to use pin headers, as well as being a fairly powerful little system. There are 2 x 46 pins available (well, not all of them are, but we’ll get to that later) to use. Quite the feature list! The Adafruit BeagleBone IO Python library doesn’t support all of them, but we hope to add more as we go.